When I became pregnant with Madeline I didn’t have an obstetrician. At that point, Dr. Looove had been doing all my girlie things so I hadn’t needed a Lady Business doctor. She suggested a few OBs, but I decided against them because they delivered their patients at the old, rundown UCLA hospital. That wasn’t appealing to me. I wanted what the stars had! This is LA, after all. So I found me a doctor that delivered at St. John’s Health Center in Santa Monica. You may remember that hospital from such notable births as Katie Holmes’ daughter, Brooke Shield’s daughter, and Tom Brady’s kid that he didn’t have with Giselle. I knew if it was good enough for these celebrities, it would be good enough for me. (I hate that I cared more about what celebrities had given birth at the hospital than what level NICU the hospital had. I was just clueless. St. John’s is a great hospital but it wasn’t great for our situation. ANYWAY.) While I was there on bed rest, Dennis Quaid’s twins were born down the hall in a fancy birthing suite. Dennis was seen by tons of my friends and family, walking the halls and riding in the elevator like a regular dad. He even spoke to some of them. GASP! I’m telling you all this not to brag of my fanciness (I think it is well-established that I am not fancy), but to say that I have some experience in the whole “celebrity birth stories” realm. Dennis Quaid is definitely not in the same stratosphere of fame as Beyonce and Jay-Z, but the hospital DID up their game when he and his children were on the maternity floor. Mike and my other visitors said there were paparazzi outside of the hospital when the twins were born, but the hospital’s security kept them far enough from the entrance to the hospital that they didn’t bother anybody. Every visitor had to check in with security in the lobby, and then again when they reached the maternity ward. There were extra security guards patrolling the floor. It was a tight-ship, but it was all done without disrupting any other patient or patient family. There are tons of rumors flying around about the birth of Babyonce: They rented out an entire wing of the hospital, they put tape over the security cameras, they renovated an entire suite for their personal use. And don’t even get me started on the rumors that Beyonce was faking the pregnancy and actually had a surrogate. The story that’s getting the most traction involves a family that claims security guards allegedly prevented from seeing their premature infants in the NICU (I say allegedly because the hospital denies this claim). Now then. I AM fancy when it comes it NICU experience. I actually have been prevented from seeing my child in the NICU – four times, to be exact. Every time it was because there was a dire medical emergency going on in the NICU and NO parents were allowed in. The night Maddie arrived in the NICU, no other parents were allowed in for THREE HOURS. When you want to see your very sick baby and you can’t, it’s upsetting, even when you know it’s for an extremely important reason. If what the NICU parents at Lennox Hill are saying is true, they have every right to be LIVID. If it had been me, the scene I’d have caused would be the stuff of legend. Jay-Z would be rapping about a crazy lady taking down security guards with her bare hands. Here is my biggest problem with this whole rumor-laden fiasco – the hospital blew it. They lost control of what was happening on their maternity floor. The hospital has confirmed that Beyonce and Jay-Z had their own security detail. I don’t think that should have been allowed. It’s a bunch of guards completely unfamiliar with how Lennox Hill’s maternity floor operates. These private guards were only there to protect the interests of ONE family, at the expense of all the others. Lennox Hill should have been like, “Yo Hov, we got this. We’ll provide our own security guards who understand this joint, and we’ll add it to your hospital bills bills bills.” Experienced Lennox Hill security staffers would never have prevented family members from seeing other patients. They would have known better. I hope that Beyonce and Jay-Z are mortified by these claims, and do their best to apologize for any inconveniences others may have faced due to their presence – rumored or not. And I really, really hope Lennox Hill learns from this and does it better the next time a mega-famous family delivers a child in their hospital. Regular non-famous parents deserve better. Excellent post on this story. I “lived” in the NICU for 11 weeks and completely relate to this perspective. That hospital did blow it and I, too, would have been livid. So agree with this post, that I have nothing to add (an unlikely position for me to be in). I see we are both still awake. Insomniacs unite!!! I was disgusted when I read this story. On the one hand, the story only revolves around one family being denied access. That doesn’t seem like it could be quite right… Is this family looking for their 15 minutes? On the other hand, stolen pictures of Baby Blue would be worth millions and people can be greedy. And on the third hand (ha!) the hospital is not really denying it altogether with a strong message. I agree that the hospital blew it. Denying movement through a hospital and NICU, especially, for celebrity reasons is disgusting. If they allowed JayZ and Beyonce’s security to cover their security cameras or otherwise compromise security for all then that is also wrong. Heather I don’t think I’ve seen it explained better anywhere by anyone. Bravo! I saw elsewhere on the inter webs someone suggest that, if this Beyonce nonsense is true (and, hell maybe even if it isn’t), that a lovely gesture on the part of Beyonce and Jay-Z (and probably a good PR move) would be to make a sizable donation to the March of Dimes. Or better yet, a sizable donation to each of the families who were affected in the NICU during their stay–those families are likely racking up the medical bills. Or , maybe even a donation to a charity that’s main purpose is to support NICU families…like Friends of Maddie. Hee Hee. Yes,yes, yes. Make your words mine. It would be great if celebrities of that caliber were made aware of the pain of prematurity, and how their privacy should not take precedence over a parent’s right to see their critically ill baby in the NICU. Hard to know if they even knew, but I agree, the hospital blew it. I agree! I am not a mom (but one day will be!) and I couldn’t believe what I was reading when I saw that story. The hospital absolutely dropped the ball on this one. The entire situation was completely disgraceful, and Beyonce and Jay-Z should apologize to the family involved and to others that have chosen not to speak out, as should the hospital. I definitely think that has something to do with it. I don’t blame them for not wanting someone to get a picture of their baby and sell it for millions – much better for them to have control over that. If they do release or sell a photo of their daughter, hopefully they will make like the Jolie-Pitts and donate the money to charity. I say IF because they never even released a wedding photo. They are pretty big on privacy. couldn’t have been said better myself. There needs to be a facebook petition for this donation b/c there needs to be some publicity. I want to see this happen! 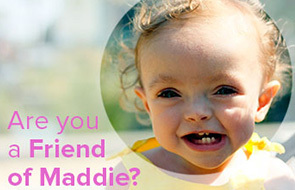 Feel free to suggest Friends of Maddie to them, too! Wait — am I misreading? Why do they need to apologize for “rumored” inconveniences? Or does “rumored” correspond with “presence”? If this man, who went to the press before reporting any problems to the hospital, is telling the truth, then fine, they should absolutely apologize. Although, it might have been a good idea to go immediately to hospital personnel and report the problem, rather than running to the NY Daily News. I know, it’s lame, but there is a lot of negativity swirling toward them because of all this talk. I think some sort of statement might help chill people out. I always think of Dennis Quaid and how his babies got sick because of a decision the nursing staff made. Gave the babies too much of an anti clotting drug and almost killed one of them. I think the major problem with this whole situation is the rumor mill. No one media outlet has given a definitive, truthful account of anything…so it seems. In an interview with Katie Couric just before giving birth, Beyonce recounted a story of how flight attendants were required to bring her ice cream and hot sauce on the plane as she was craving this. Her exact words were, “that’s disgusting.” Just because something is reported obviously doesn’t mean it’s truth. As you know. Now, I myself have had 2 preemies. A 30 weeker and a 33 weeker. I do not know what it is like to leave a hospital with a baby and I am all too familiar with NICUs. I, too, have not been allowed access to visitation because of doctor rounds or shift changes. If the story is in fact true that J’s security team kept parents from seeing their children, well then my heart hurts for these people. However, I have seen so many conflicting reports on this entire situation, no one really knows the truth behind any of it. Until more details emerge about the specifics of this situation it’s wrong to point the finger at anyone. And honestly, I’m really just tired of hearing about the entire thing. I also had a problem with them taking over an entire wing of the hospital. I highly doubt that the hospital they were at isn’t a busy one – if it’s anything like where I’m from, there often aren’t enough beds for the amount of people who need them. When I was giving birth to my son, at least 8 women were deferred to other hospitals – I was lucky to get the very last room in the ward that day. I’d have been pretty angry if I’d had to travel to another hospital not because the ward was FULL, but because a celebrity had taken up several rooms just because they could. That just doesn’t sit well with me at all. They didn’t take over an entire wing. They rented out and utilized an already existing executive suite. Maybe the article I read had their info wrong – I read that about 8 rooms were transformed into 2 luxury suites just for them. I have read like, 27 different versions of this story. So many rumors out there! I also read that they not only remodeled the fancy suite, but the entire maternity floor. I’m gonna go, for right now, that they utilized an already existing executive suite as per the hospital’s statement. Why on earth would the hospital allow them to destroy such a significant portion of their maternity ward? And the ‘bills,bills,bills’ part was hilarious! I had a friend who talked about this on Facebook, and I’ll say what I said to her – if ANYONE prevented me from seeing my newborn in the NICU for any reason other than a medical emergency (be it my child’s or another child’s), I would have flipped by sh*t.
But whether it is or isn’t true, I think Beyonce’s camp needs to come out with some kind of comment, even if it’s simply that they understand that a celebrity presence (in this case, theirs) can cause inconveniences, they thank the other patients of the hospital, etc., and then announce a donation as other posters have mentioned above. I also agree that this got away from the hospital. But isn’t it possible that if the family were really denied access to the NICU, it may have had nothing to do with Beyonce at all and they are just jumping to that conclusion? If you were denied access four times for medical reasons, it wouldn’t be unusual for them to also be denied at some point in their stay. Why do we assume the worst of the hospital? Amen Heather! so right on!!! and I’ve read different versions to these stories. Obviously they know the truth and maybe should issue a statement?! to clear the air!!! With. You. On. This. I was so mad when I read about that family I couldn’t see straight. That really cracked me up! Well said, Heather! I agree 100%!! I have heard a lot of stories too about this and I am sure there are two sides to the story. However, given the preferential treatment that is almost always given to celebrities in many situations (for example, allowing their own security and such at hospitals, free entrance into clubs, preferential seating in restaurants, free gifts, all that stuff) I tend to side with the gentleman that complained. It is a way of keeping hospitals in line and putting procedures in places that everyone should follow. For example, limiting the number of visitors, everyone washing hands when entering NICU’s, etc. The little things that a hospital can easily overlook when it comes to celebrities and their entourage. While I am very happy the hospital came out and said what it did I think it is also a good lessons for all hospitals in general. In other words, don’t mess with NICU parents EVER!! Why do they need to apologize if something is only rumored? I am 34 weeks pregnant and this story really hit home with me, (I so hope that nothing like what is being reported actually happened-I can’t even imagine my or my husband’s response if some hired thug tried to prevent us from gaining access to our baby) HOWEVER, there is no proof any of this actually happened. I ascribe all the reports of these incidents to the same Hater mentality found in the comment section on any online article about Beyonce and/or Jay-Z. They simply lack any sort of credibility. If covering the security cameras are true they are risking other couples babies. And that’s not fair and not right. “Normal” couples babies are stolen, kidnapped, sold for money every single day. People do this for money, drugs, and because they are sick. It’s not just Beyonce and Jay-Z who are at risk, they are risking a child here all because baby Blue was born. If they wanted this protection they could’ve had the baby at home with all of the hospital people they wanted flown in. Or done what Angelina did and had her baby in France. You didn’t hear of Angelina covering security cameras. I’m seriously disappointed in this. I work for a security company and we protect the NICU for one of the biggest hospitals in my area. The SECOND we get a phone call about an issue we dispatch a tech. if we heard of the cameras being taped over, lord have mercy. I’m very sad over this. I’m sure we will never know the truth – about the families, about the cameras being taped over, about the renovations and rented out floor. What I do know is that it’s all too much. Beyonce, when it boils down to it, is just another woman having (allegedly) a baby. Having private security detail, taped cameras, special suites misses the entire point. She and he are not all that, and it’s sad that they caused so many real or imagined issues for the regular folk. Of course, if little Blue goes on to cure cancer one day, I’ll admit she was something special, but until then, just another annoying celebrity in the news. Call me crazy, but I’m going to go with the Paper of Record here. If the New York Times and their fact-checking department see fit to publish a story, I’m going to assume it’s not pure “rumor.” Either way, I just love your thoughtful take on it. I am fortunate not to have been through a NICU experience myself. So I can only imagine how horrible it would be not to see my baby for a few hours, let alone one who was medically frail. Thanks for sharing something personal to offer an educated perspective on this. Whatever the story turns out to be. YES YES YES!!!! I was sickened by all these rumors. My son was born in NYC (Different hospital) and spent his entire hospital stay in the NICU and let me tell you, that was a traumatic experience for more reasons than I can express. First of all, did you know that in NYC, you are not allowed a private room unless you pay $750 per night out of pocket? (No insurance plans cover the cost.) This means you are put into a semi-private room with a stranger as soon as you’re out of recovery. This also means your husband cannot stay overnight. I have never been so terrified in my life as I was the night after my son was born with him in the NICU and my husband being shooed out the door at 8:30pm. I, for one, hope Lennox Hill’s administrators are paying attention to these reports (true or not) and that they step it up for their next celebrity birth. In a NY Post article (http://nypost.com/2012/01/11/beyonce-baby-complaints-at-lenox-hill-hospital-dismissed/) a hospital spokesperson confirmed that the security cameras were “briefly” taped over.